You’ll undergo a private consultation with Dr. Shiloh Lindsey, during which you’ll discuss your expectations for dental care and any specific needs or preferences you have. We will analyze your soft tissue for gum disease. About 80% of American adults suffer from some form of gum disease, and the condition is the leading cause of adult tooth loss. Gum disease has also been linked to higher risks for stroke, heart attacks, low birth weights, diabetes complications, Alzheimer’s disease, and dementia. Early treatment can reverse any damage and deter recurrence. We will check your mouth for the presence of oral cancer. With the power of VELscope, we can detect oral cancer as early as possible, which can improve the potential for successful treatment by 80%. We will use DIAGNOdent to search your teeth for cavities. This innovative technology allows Dr. Lindsey to find decay in its earliest stages when conservative treatment is still effective. We’ll take a close look at your occlusion and tooth wear. If you suffer from teeth grinding or clenching, constant headaches, and/or migraines, your temporomandibular joints may be misaligned. Dental treatment can correct TMJ dysfunction and restore optimal occlusion for healthy, comfortable oral function and relief from nagging pain. Once we’ve completed all of these steps, Dr. Lindsey will review her findings with you and provide an easy-to-understand explanation of your oral health. She’s happy to answer questions at any time because the more you know about possible treatment options, the wiser decisions you can make. 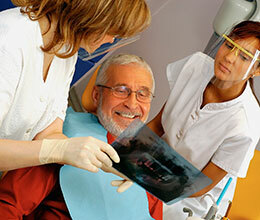 We can also give you tools for good oral homecare and general guidance on any oral health topics. Before you leave our office, we’ll schedule your next appointment at a convenient time for you. If there’s ever anything our team members can do to make your experience with us more rewarding, please do not hesitate to ask! Contact Aspen Dental Care in Ft. Collins, CO today to schedule your first appointment.